Our previous tutorial briefed us with a list of Continuous Delivery Tools. Here, we will focus on Microsoft VSTS. Microsoft Visual Studio Team Services (VSTS) is a new cloud-based offering which helps the project teams to take care of all the aspects of the process for software development. 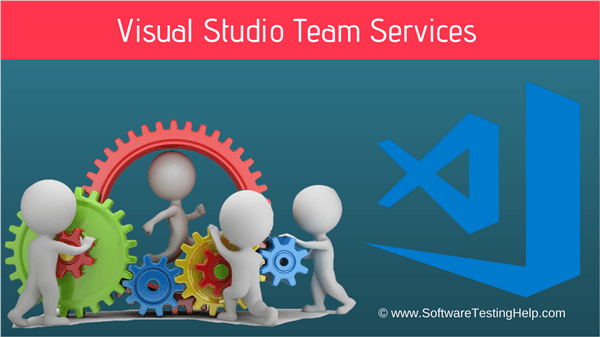 Visual Studio Team Services (VSTS) is an online hosted service from Microsoft. The best part of VSTS is that you don’t need to install anything, you can either go for a pay-as-you-use or the FREE 5-user license via the visual studio website. Click here to navigate to the visual studio website. Hence, Microsoft VSTS is an Application Lifecycle Management (ALM) system which helps the entire project team to capture Requirements, Agile /Traditional Project Planning, Work Item management, Version Control, Build, Deployment, and manual Testing all in a single platform. In simple terms, Microsoft VSTS is Team Foundation Server (TFS) on the cloud. VSTS is tightly integrated with Visual Studio. NET IDE. In my previous tutorials on Microsoft TFS, we saw how to use the above-mentioned features on On-Premise servers. In this tutorial, we will see how the same features can be used or extended to perform deployments over the cloud and in particular on the Azure cloud. To get started, launch the URL and create a free account as shown below. Once the account is created you can start by creating projects. Click the button “Get started for free” under the Visual Studio Team Services column. Enter the desired account details which you will use to perform project related activities. One important aspect is that as shown in the below screenshot you will need to provide a unique name which will be used as the URL to login to Microsoft VSTS. You can also manage code artifacts using private Git repo or the TFVC. For this tutorial, we will use the TFVC repo to manage the source code. Proceed to start creating VSTS projects using TFVC repo and select the process that the entire project team would be working with for E.g. Agile, Scrum etc. Click Continue to create the project. The project created is listed. You can also create additional VSTS projects by clicking on the New Project icon. Click on MyFirstProject and this will open up the project page for you. This is very similar to TFS which we saw earlier in my earlier tutorials. However, the user interface though is a bit different. Click on the Dashboards menu. Since VSTS is meant to be a platform for the entire project team to work and collaborate together with the initial activities that need to be performed which is to add all the team members to work on the project. Under Team Members, the right click on Invite a friend and add all the other VSTS accounts created by the team. Search all the VSTS accounts created by the team and Add them to the project just created. Save changes once done. All the accounts added are shown and displayed on the dashboard. As in my earlier tutorials, we will start by creating User stories and link Tasks to it. The tasks will typically need to be assigned to the developers for them to link to the code changes. These User Stories and Tasks will need to be added to the Sprint cycle from a project planning perspective. Enter a title and update the other fields to the User Story. Save the User Story once all the fields are updated. Enter a title for the new Task and save it. To link the user story to the task click on “Related work=> Add Link Existing Item”. Add the User Story as Parent. Enter the Work Item id of the User Story or some text from the title and click OK. The link created to the User Story is shown under “Related Work”. To start developing the User Story you will need Visual Studio.NET 2015/2017 installed on your local machine. The source code will need to be shared with the TFVC repo. Click on Open in Visual Studio. Click on Servers to add the VSTS URL which will then show up for the projects created. You will need to sign in with the VSTS account which you created earlier. You can now connect to the VSTS project created earlier and start to share the source code to the TFVC repo. The connected project from the VSTS connection is now shown. Create a new ASP.Net Web Application project and add to source control. Modify the Default.aspx file so that the changes can be linked to the Task created once the solution is added to the source control. Add Solution to Source Control. Select the VSTS project and click on OK to add the solution to TFVC repo. The ASP.NET project is now under the TFVC version control repository. In this tutorial, we learned how to get started with Microsoft VSTS which is a cloud ALM platform for the entire project team where absolutely no infrastructure is required to manage the entire platform in order to store all your project related artifacts which include Work Items, Source Code, define Build and Release Definitions. This was meant only to be an introduction to the platform. In my upcoming tutorial, I will extend to showcase how DevOps (CI/CD) can be done using VSTS using Azure as the cloud portal for deployment.